The Public Interest Law Centre was founded in 2016. Originally founded as a Public Law Unit – we changed our name to reflect the fact that we are developing to a law practice with a large caseload alongside a range of projects. We been able to grow our team and take on new and exciting challenges. We will remain an integral part of Lambeth Law Centre and support its work as they support ours. The Public Interest Law Centre was established by Jean Demars, Paul Heron and Helen Mowatt to primarily develop partisan strategic litigation in public law, whilst also bringing actions against public authorities. 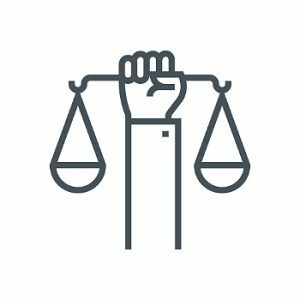 We hope to continue developing quality legal casework and cutting edge strategic litigation but always with a commitment to support campaigns and social justice activists. We are flexible in the way in which our service is provided and always strive to meet the needs of our clients. It is not necessary to attend our offices, we can either come to you and/or conduct our work by e-mail and ‘phone. Whilst PILC is not a campaign group, it is a ‘not for profit’ law centre that conducts legal aid judicial review work in the High Court. However our solicitors meet with campaign groups when requested to discuss the possibilities of legal action being part of their campaigning strategy. We are particularly interested in using law as part of the process to effect social change through the use of test cases. The Public Interest Law Centre is part of the Law Centres Network (LCN). The LCN strives for a just and equal society where everyone’s rights are valued and protected. The LCN supports a national network of Law Centres that work with some of the most vulnerable and disadvantaged people in society. They support member Law Centres to help them achieve their full potential and be as sustainable as possible. The LCN sets up new Law Centres, initiates new services, and champions the model of free and independent legal advice and representation.